Upgrade JA T3v2 to T3 ? Responsive for third party ? Installing Google Analytics in Joomla template developed by T3 Framework can be done in a multiple way. Here is how we can manage to get that is gonna take you maximum 5 minutes. These settings in the Injection tab are set as the global settings. That means you can add the google anlytic code to any style without go back in each style and add it manually. If you weren't able to find these settings in the administration panel, that means you are using the older version of T3 Framework that is anywhere lower than version 1.3.0. You can upgrade to the latest version of T3 Framework (please always back-up before proceeding to any updates, it's highly recommended) or you can install the Google Analytics code manually (by adding code to a file that can be used in all pages). For more in-depth in the manual installation, please check the Video Tutorial for more info. When it comes to Live Chat services, it really depends on which Live Chat services you are using. Each has its own requirement on adding its scripts. But no worry, we have those common places listing out in the Injection tab, so you can just go ahead to copy & paste them accordingly. These settings are applied to the site's global settings as well, so you can only need to add the scripts once. If you find trouble to display com_content in homepage whatever the menu type is assigned to, this thread would be useful for you. The explaination for this problem is, in some templates, the home layout has no Component position and you assigned the home layout for Homepage. List of templates that doesn't have Component position in home layout. Each template could have one or many layouts, but all the templates always have default layout, in the default layout, the Component is always loaded. Step 1: open home layout file (it should be home.php) located in templates/ja_template/tpls/blocks. Step 2: Open block file that you want to add Component to, we suggest to add to mainbody-home block. So open file mainbody-home.php located in templates/ja_template/tpls/blocks/. 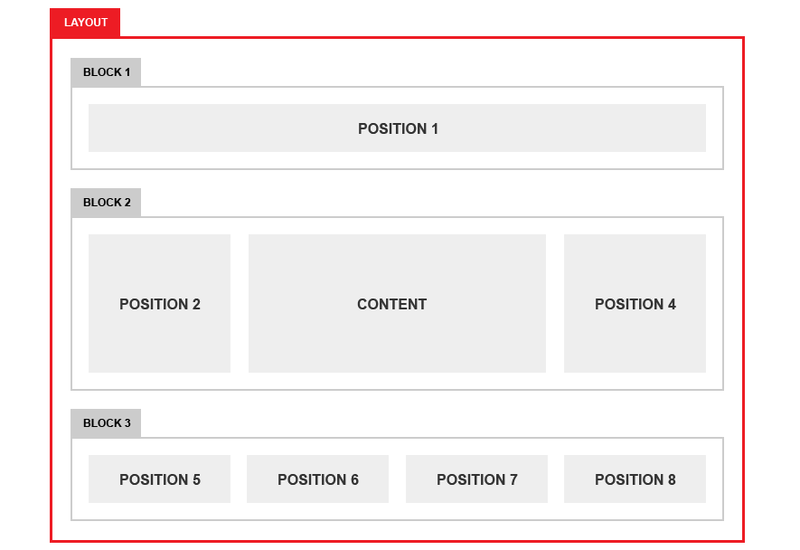 Open the Home template style and choose the default layout that has Component position. Note: by choosing a different layout, it will change the existing layout/structure of your homepage. T3 Framework integrates Bootstrap and utilizes LESS (dynamic stylesheet language). It is required to develope your site with LESS. If you develop with CSS, when compiling, the CSS files will be overridden. So what happen when you don't know LESS files? And all you want to do is styling with CSS? The custom.css file is here to save the date. Whatever CSS you add in this file will NOT be overridden when compiling. Then, where can you find the custom.css file? It is located in: templates/ja_fixel/css. If you don't see it there yet, feel free to create a new one. Open the file and start styling your site with CSS. JA T3v2 upgrades to T3 Framework ? Since T3 Framework was first released, there is this on-going question on "How to upgrade JA T3v2 Framework to the latest version of T3 Framework?" We have answered this many times before, and the answer still remains a big NO. T3 Framework has been rebuilt completely. 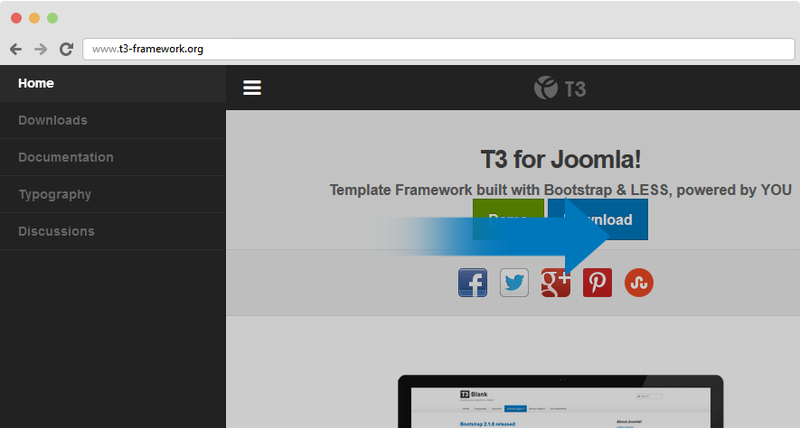 T3 Framework integrates Bootstrap and utilizes LESS, while JA T3v2 Framework doesnt. T3 Framework also supports ThemeMagic, Layout Configuration, and much more, but these are not supported in JA T3v2 Framework. To use T3 Framework, you have to install T3 Framework from scratch, no upgrade is possible. There are 2 ways to change the logo for a Joomla template developed with T3 Framework. For JA Template, each style can go with a different logo. To set style for the logo, go to Extensions >> Template Manager, now open the JA Template style you wish to work on then navigate to Theme Settings. Another way to change thelogo is changing the logo image path in variables.less file, which is located in the templates/t3_blank/less fodler. You can also change the logo block size, by changing the value of the @T3logoWidth: and @T3logoHeight: variables. To customize style for the logo, open the file style.less that is located in the templates/t3_blank/less folder. Search for the logo text, you'll find the style where you can either add more styles or customize it as is. You can disable/remove T3 logo from the footer any time. To do that, open your site back-end then go to Extensions >> Template Manager >> JA template >> General tab. Find the field Show T3 Logo then disable this field to remove the T3 Logo. Upload your font package(s) to templates/template_folder/fonts. Now open file assets.xml located in the templates/template_folder/etc folder. T3 Framework supports Google fonts, all you have to do is define the google font you would like to use in the assets.xml file (located in the templates/template_folder/etc folder). Since Bootstrap 3 beta version was out, everyone is questioning us on whether or not T3 Framework will compatible with Bootstrap 3. Yes, we will. We are currently busy with other projects as well as trying to keep up with our commitment for the monthly release. If there is only one thing we can't control over, it's time. Hence, we'll definitely keep you guys in the loop, whenever we can. Joomla provides addStyleSheet, addScript, addScriptDeclaration functions, which are the ones you should be using. T3 Framework is a responsive framework template, that means all the templates developed with T3 Framework are responsive at core. So how T3 does with Third party extensions like K2, Virtuemart ... in term of responsive ? It does not intervene the 3rd extensions, hence if the 3rd extensions are not responsive by itself, then it's a huge chance they won't be responsive when you install in any of the templates developed with T3 Framework. Now it's up to you to consider if you want them in your site or not. If you still decide to go with it, you probably have to do the customization to make it responsive, and it sure does take a lot of time and effort. Please be wise here. The file error.php is located in the templates/ja-template-folder/ folder. Open this file and you will be able to get the CSS file that has all the style of the 404 page. The CSS file is error.css located in the templates/ja-template-folder/css/ folder. Open the file and start your customization. Please note that the file is NOT overridden when you compile LESS to CSS. As we don't have error.less file. Each JA Template also has its own Offline page style. The file offline.php is located in the templates/ja-template-folder/ folder as well. Open this file and you will find the CSS file that has all the style of the Offline page page. The CSS file is offline.css located in the templates/ja-template-folder/css/ folder. Please note that the file is NOT overridden when you compile LESS to CSS. As we don't have offline.less file. The majority of the templates developed with T3 Framework has a sticky Main Menu by default. In this case you're all set. What if the template does not have this feature supported by default? You can always enable this feature manually. To enable this feature, follow the following steps. Any version before 1.2.1 does not support this feature and you have to dig in the code file to make it happen. It's highly recommended that you upgrade to any version higher than 1.2.1 to get this feature installed. To get a sticky navbar, add class navbar-collapse-fixed-top (for collapse menu) and navbar-fixed-top (in desktop) to #ja-mainnav div (it is in the file: mainnav.php located in the: templates\ja_mero\tpls\blocks folder). You may need to update the margin-left & margin-right for the mainnav div. T3 Framework supports Off-canvas menu in collapsed screens for mobile and tablet. You can enable or disable this feature from the template manager setting panel. From template manager setting panel, go to Extensions >> Template Manager >> T3 template >> Navigation tab. You will see the Off-Canvas Navigation field, feel free to enable or disable it as you wish. The "Back to top" button allows you to quickly navigate to the top of your site. Now add the following code to the bottom of the footer.php file. Now add style for the button, using any LESS file in the templates/ja-template-name/less/ folder . 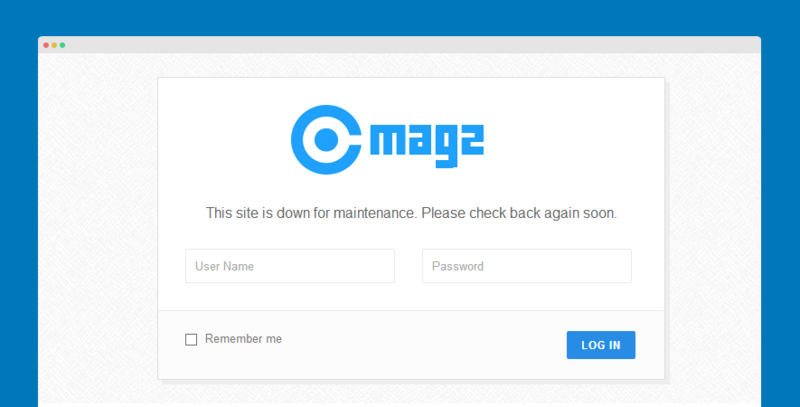 T3 Framework supports Megamenu, when you run a multilingual site, you have to configure multi-language for Megamenu. Follow this guide to make it work. Please make sure all the steps in setting up a multilingual site are done completely. If these steps weren't not done yet, there are 2 ways to build up a multilingual site: manual setup or auto setup with JA Multilingual Component. It's up to you to go either way. For each language, you will need to create a menu system based on the default language menu system. For example, your site is curently in 2 languages: English and Arabic. Then you should create menus for Arabic language based on the existing menus of theEnglish language. In fact you don't need to translate all the menus, you just need to translate all the menus that are being used. Go to Extensions >> Template Manager then duplicate the default template style. Next, open the duplicated template style to rename it. Then assign to the desired language. Now open the Navigation tab, enable Megamenu then assign the created menu in the Menu field. Now all you have to do is SAVE the Megamenu settings, please keep in mind that this step is required even if you haven't change anything as it aims to detect your Megamenu. Open the Megamenu setting panel and then make sure you select the right menu - Mainmenu for Arabic language. T3 Framework supports multiple layouts. To know more, please check our guidelines below. T3 comes with ease of layout customization. The visual layout configuration allows you to configure layout never easier. T3 supports multiple layouts by default. In each layout, it is built up with multiple blocks (header, mainbody, spotlight ...). Each block contains one or many module positions. You can assign specific module positions to a block. In the layout part, there will be 2 parts to be configured: The Layout Structure and the Layout Configuration. Every time you customize, change settings of layout, the changes will be saved to an .ini file. For the fist time you make changes, the .ini will be generated and they are located in: templates/t3_blank/etc/layout. There are 2 ways to create new layout. When you configure layout from back-end, you can clone a layout. To create new layout, you should clone a file here then edit it - define blocks that the layout uses. In the new layout, if you wish to use new block, you can create new one. Each block has its own file. The files are located in: your_site_folder/templates/t3_blank/tpls/blocks. Create new one by adding new php file with then name it or clone a block file then rename and customize it. Open the php file of the layout to define the blocks that the layout includes. For more helps and discussions on T3, visit our Discussion Chanel. This video tutorial will guide you how to install T3 framework. There are 2 types of installation: Quickstart installation and Manual Installation. During development process, Localhost is preferred. You can use the following servers in your PC to develop your site. 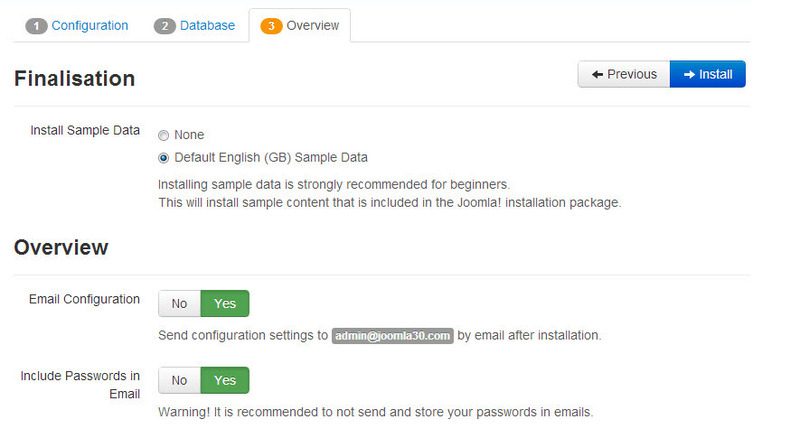 The instruction is appicable for both Joomla 2.5 and Joomla 3. We highly recommend you to use the stable version of Joomla, T3 version is now stable. You can download our latest work or the released package. We suggest you to download the released version, it is tested and checked. By default, when you install the plugin, it is enabled already. To check, go to: Extensions --> Plugin Manager --> find the plugin T3 Framework. To set T3 Blank template as your default template, go to: Extensions --> Template Manager --> set T3 Blank template as your default template. If you install sample data, you will have a site like our demo. If you select default sample data, you will a fresh site site with T3 framework plugin and T3 blank template installed and enabled. There is always a team working on T3 Framework: support, fix bugs and develop new features. Since first stable version of T3 framework was released, there has been number of released versions. The released version comes with bug fixes, improvements and new features. You can view the information of release in T3 Framework changelog. To have bug fixes, improvements, new features from a specific versions, you have to upgrade T3 framework to the version. But before upgrade, please always take BACKUP. How to upgrade T3 Framework? Install new version of T3 Framewotk directly to your system, uninstallation is not required. 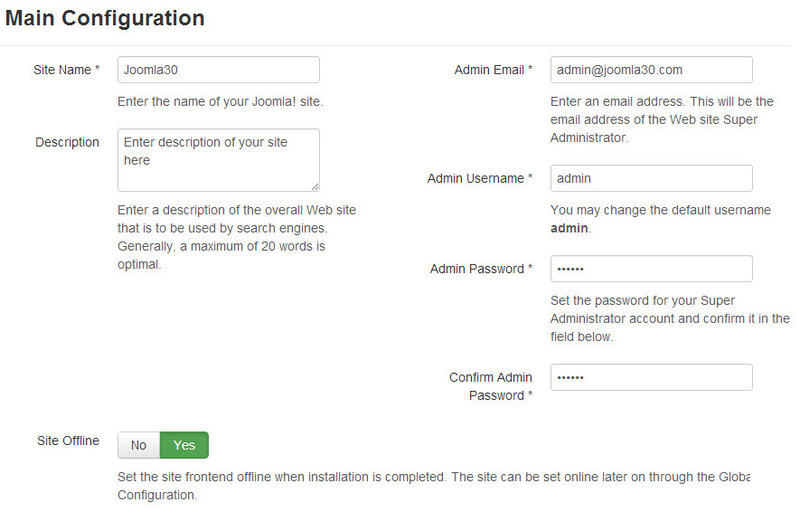 The Joomlad Update system is the override installation, so it will override all files/folder of the extension. If you have customized, so you should not use the Joomla Update system because your work will be lost. We moved JA T3v3 to T3 project so now, we will maintain and develop T3 project instead of JA T3v3. For some templates that were developed with JA T3v3 (JA Brisk, JA Mero, JA Onepage) can be upgraded to be compatible with T3 framework. To upgrade template through JAEM (JA Extension Manager Component) you need to install the component and configure it properly. Please check DETAIL GUIDE of how to use the extension. When upgrading, we only pay attention to conflicted files - files that have been modified by both User and Developer . When upgrading, the conflicted files will be overridden by files in new version, that means what you customized in the files will be lost. Now, upgrade template to new version. After upgrading successfully, you need to compare the conflicted files (using your back-up files) then copy what you customize to the new upgraded files. Now, install the plugin and make sure it is enabled. After this video tutorial, you will be able to know about your T3 System pluign folder structure, your JA Templates which developed with the T3 Framework and the functionality of the folders and files - all the materials you should be aware of before getting started in customizing your template. After Installation, you should know the folder structure of the framework which shows you where and how to work with files. T3 integrates Bootstrap, developed with LESS. Check the folder structure to know where to start. The most important folder is: less. The folder contains all LESS files that are used to develop your site, the LESS files can be compiled to CSS files. When you install the t3 system plugin, the plugin includes the Bootstrap library that is used to develop your site. We recommend you not to customize files of the plugin, all your work should be operated in t3_blank template. 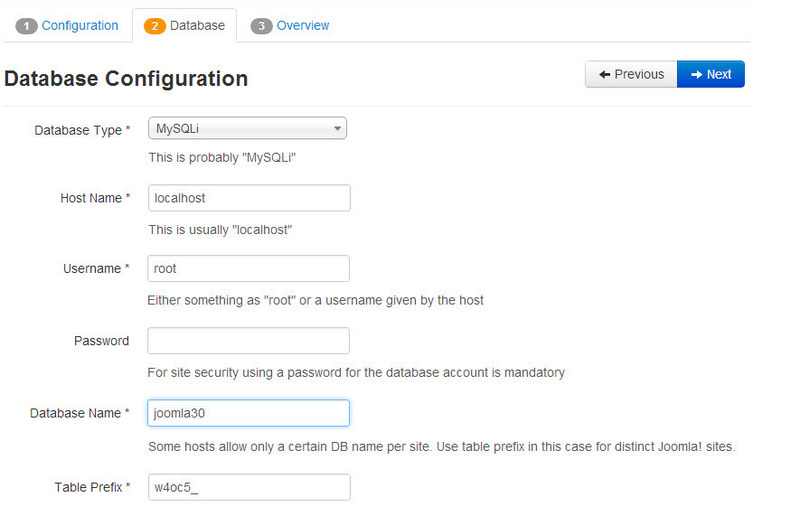 The very first things you need to know when you want to customize T3 framework. Many users are concerned about the definition of Template and Style. In the very basic way, template includes styles. In one site, you can use one template but multiple styles. You can create multiple styles from a template. In one site, multiple styles can be used simultaneously, each style can be applied in specific menus --> override default styles in the menus. With T3, you can override default style in specific menu items. The override feature help you to have different layouts, theme, navigation ... for your front-page. There are 3 steps that you should follow to override style. Step 1: Create override style. To create new override style, you can duplicate the default style or you can go to the edit page of the default style then save it as copy. After you create an override template, you can configure the template (change layout, color, ...). Firstly, let's check the layout setting of the default template. Template width is defined by grid, and divided into number of columns (default is 12 columns). To change width of template, open file: variables.less in: templates/t3_blank/less then change defined width of template. @T3gridWidth:             940px;  // T3 add. For non-responsive layout. To change width of template, you just need to change T3gridWidth. The gridColumnWidth will be auto caculated. variables-custom.less: this file includes your custom variables when you customize theme. Note: the 2 files: template.less, variables.less should be copied from an other theme. The file: variables-custom.less includes custom variables in the theme. When compile LESS to CSS, each theme has an independent folder. The folder contains all necessary CSS files, it is not overridden from default theme --> when your site runs on a specific theme, it only loads css files from 1 folder --> so it will increase the speed of your site. Note: The .min.css files are the compressed files. Your site uses the .min.css files when you enable the Optimize CSS option in the General setting. If you have used JA T3 V2, you may familiar with module position in the new version. There is not much difference. You can create unlimited module positions, then assign them to blocks. Module position is added to a specific block so you have to defined which layout you want to add new module position to. All block files are located in: template/t3_blank/tpls/blocks. Open the block file you want to add new module position to. Now, I define the module position in TemplateDetail.xml file. T3 Framework developed with LESS, the LESS files are compiled to CSS files. Each time you compile, CSS files will be overridden so we suggest you not to use CSS to customize, develop your site because when you compile, your work can be lost. To custom CSS without changing LESS, and your work will never be lost, you must work on the file: custom.css. The file is located in: templates/t3_blank/css . The file is included by default, you don't need to create new one. The file is the last file to be called in your template so it will not be overridden. The file is not a compiled file from LESS so it will not be overridden or lost when you compile. The Custom.css file is the same as any other CSS file. Enter the CSS to style for your template as normal when you work with the template.css or any other CSS files. ThemeMagic is one of the outstanding feature in T3 framework. It helps you in customizing your JoomlArt T3 Framework version 3 based Joomla template without having to search for the right file or without diving into the code. T3 Framework is powerful by its easy customization with ThemeMagic. You can allow unlimited parameters to be configured in the ThemeMagic. The left menu is the configuration panel, the right panel is your homepage, so when you change setting of parameters, click on "Preview" button, then you can view the changes in your site front-end in the right panel. Let's view parameters in the Thememagic. Open the language file of the template (language\en-GB\en-GB.tpl_t3_blank.ini) and define language key that you use to define parameters above.